For the last 365 days, I have not drank a single diet coke. I don’t believe I’ve publicly written much about my personal health and, while I don’t believe I plan to make a habit of it, this feels like a victory worth celebrating. I’ve come to terms with knowing that I’ve long had an abusive relationship with food. Like others, my weight tends to fluctuate with the season. I tend to thin out in the Spring–sometimes too much too fast–and then will pack the pounds back on over the holidays. In the past few years, I’ve tried to ratchet up my physical activity. I ran two half marathons in 2015/16 and was feeling really good about my health but desiring a new physical challenge. I had a buddy who was a regular at a Crossfit gym here in Norman. I enjoyed ragging on him about the usually stereotypes of Crossfit, but eventually my curiosity got the best of me and I decided to sign up for a six week “beginner’s challenge.” The gym was also doing a nutrition challenge that started the same day as the beginner’s challenge and, through nothing more than good timing, I was automatically signed up for that too. I am neither going to write about the actual approaches that Crossfit takes (the most comprehensive read is here) nor try to talk anybody into starting Crossfit. but what I do want to say is that what I’ve come to appreciate most is how Crossfit takes a rounded approach to fitness by integrating physical activity with community and nutrition. All of this is a setup to say one of the rules was don’t drink coke–diet or otherwise. And that one happened to stick all year. Is diet soda bad? I don’t know. Interestingly enough, swearing it off has made me more curious to look at the research and my best conclusion (formulated from others people’s conclusions) is that it’s actually totally fine in moderation. But my issues were very much more mental than they were physical. 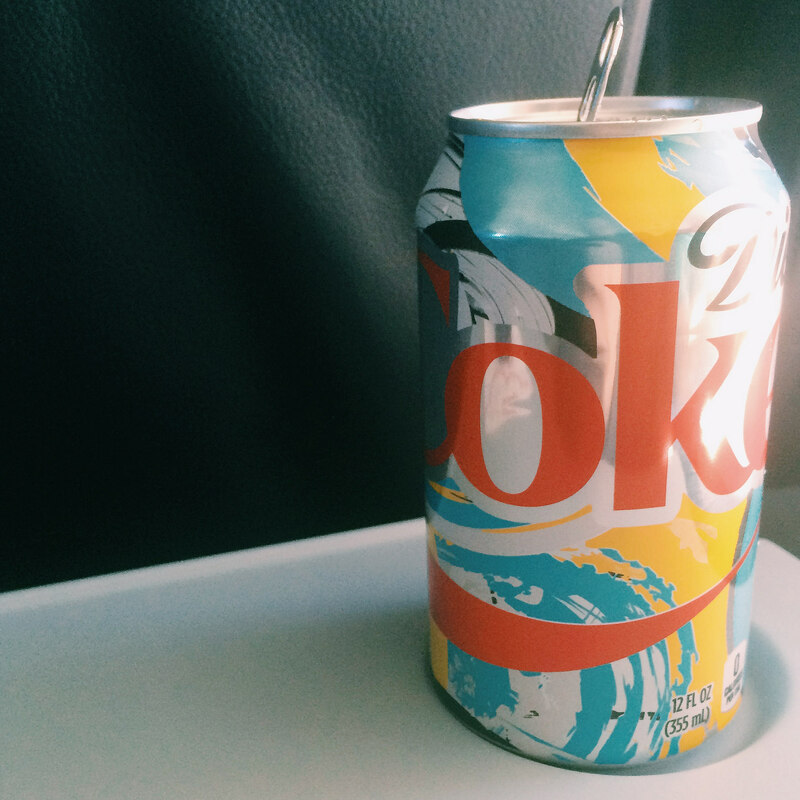 Diet coke wasn’t making me fat, it was controlling my mind. And I just wanting to stop desiring it so much (spoiler alert: that never went away, still want it). The best news is that, while my relationship to food has only slightly changed, my relationship with myself is much better. I didn’t actually win on the scale this last year, but I did make progress in my head. And that demon is much harder to conquer. I don’t have the words yet to artfully articulate this next thought, so bear with me as I attempt to pull a metaphor out of this one. I’m too prideful to make New Year’s Resolutions, but I will happily set goals two weeks into the year. In the same way that I have allowed (insert your answer here: consumerism, industrialization, capitalism) to dictate my eating habits, I’ve also allowed (insert your answer here: social media, algorithms, cable television, consumerism/industrializaiton/capitalism) to control my media consumption habits. Similar to how I desire to consume bad food, I also desire to consume new information (often referred to as “news” but I’m thinking broader than MSM and will include statuses and tweets), and I frequently consume it at a rate in where likely haven’t even processed the last story before the next. Yet I desire to feed the beast. As with diet soda, I don’t think it’s unhealthy to engage with media (mainstream, social, or otherwise. I mean I teach it…), but I do wish to focus this year on severely limiting my intake, which means less time swimming in the ever-flowing streams that Twitter, Facebook, and Instagram serve me and being more conscious about other types of media (podcasts, late night talk shows, private conversations I have etc.) and dialing it all slightly back; not in an effort to go completely dark or become ignorant of our world, but rather to participate differently. Hear me when I say I’m not convinced the answer is to shut down accounts… I just sure would love to stop giving in to desire to check it all the time. I joked with a colleague the other day that part of my solution was going to be more email. But it’s true. Recently, I’ve signed up for more daily newsletters (one recommendation is a column from the Columbia Journalism Review titled “Media Today”) so that I can continue to scratch the itch that once to know the day’s top headlines, but simply do so first thing in the morning and then go on with my day. Exactly one year later, I’m doing the challenge again. Hoping to reclaim my mind little-by-little. I am thankful for how I have been able to grow over the past couple of years by learning about health and wellness and particularly thankful for the support of my local community gym. As someone with little-to-no athletic background, I’m much more aware that fitness is not just physical strength but also mental fortitude. And I’m hopeful that this one small, itty bitty victory will be motivation for me to conquer other physical and mental challenges.